Opportunities to feel FOMO abound. Just today, a dear friend asked me if I could do a project that could begin a relationship with a company that might eventually hire me as a wellness coach for their employees. This is an area of my coaching practice that I'm growing, so even though I already had too much on my plate, I didn't say "no" right away. Thankfully, I've learned that sometimes all I need to do is buy time. The truth was that I needed to get some other things off my plate before I even knew if I had time to take on something else, so that's what I said. And I promised to let her know by the next day. After about an hour, I realized that there was no way I could say "yes" without creating undue stress in my life. It's tricky to know when to say "yes" and when to say "no". 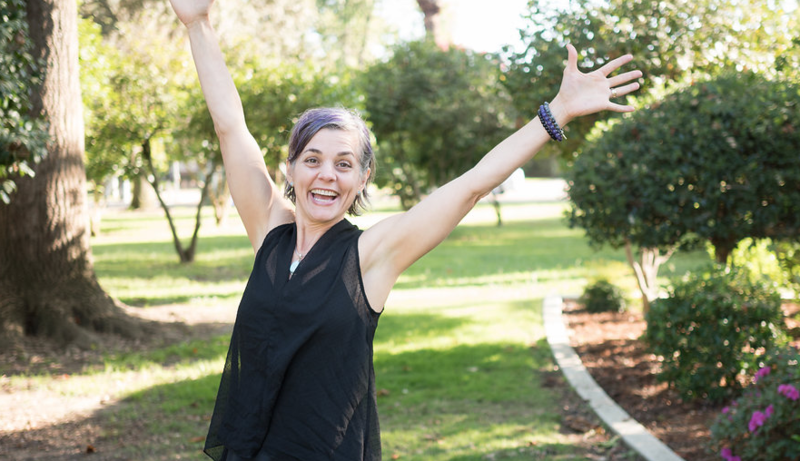 Here's the thing, when we say "no" to overwhelm, we say "yes" to peace. And even though it's not always easy to say "no" to the abundance of choice the culture presents, it's pretty much always worth putting our own sanity first. 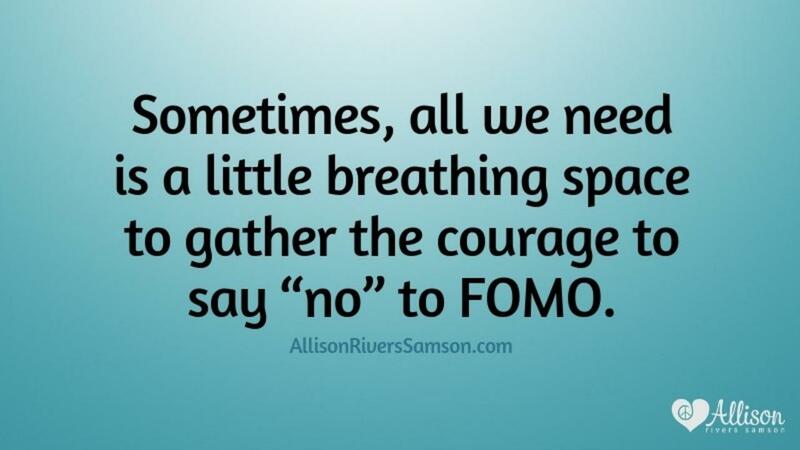 Sometimes, all we need is a little breathing space to gather the courage to say "no" to FOMO. It's helpful to develop practices that nurture us so that in the heat of the moment, we can remember that FOMO is an illusion and that when we do less, we make space to live more. Two things that anchor me are daily meditation and dancing. How about you? Do you ever find yourself overdoing or unsure of what to say "yes" to and what to say "no" to? How do you stay grounded and centered? Or is that an area you're still figuring out? If you need help, I'm here for you!